Dubai has emerged as one of the top 10 destinations for international meetings globally, according to the latest edition of the International Meetings Statistics Report, published by the Union of International Associations (UIA). The report ranked 1,157 cities globally based on the total number of international meetings that took place during the year. Previously ranked 14th in 2015, Dubai entered the top 10 with a total of 180 meetings taking place in 2016, reflecting a year-on-year growth rate of 24 percent. Dubai is the only city in the Middle East and Africa to appear in the top 25, further underlining its status as the region’s number one destination for international meetings and conferences. “With these latest UIA rankings it is once again clear that Dubai is now not only the regional leader in the sector, but also a major destination on the global stage for business events,” says Issam Kazim, CEO of Dubai Corporation for Tourism and Commerce Marketing (DCTCM). The total number of meetings assessed include those organised by international entities, as well as those overseen by national organisations or branches, but with significant international character. Dubai’s current standing reaffirms the city’s status as a premier destination for hosting business events and reflects the tremendous growth the sector has experienced over the past five years. In 2012, Dubai ranked 26th in the report with 76 international meetings. Its business events offering has since evolved; the city’s world-class infrastructure and global connectivity has enhanced its overall appeal resulting in a 138 percent increase in international meetings hosted since 2012. 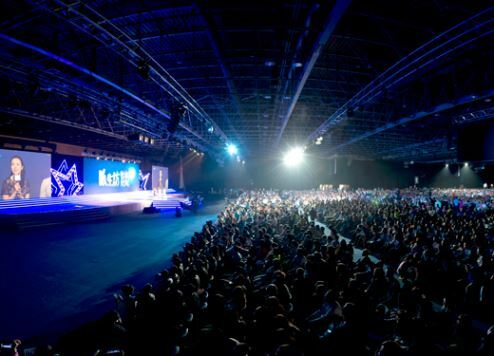 “Dubai’s business events industry has undoubtedly grown over the past decade, and we are very proud that the city is being regarded as one of the top 10 international meetings destinations by UIA, competing with more than 1,100 worldwide destinations for the spot,” confirms Steen Jakobsen, director, Dubai Business Events. The latest UIA rankings report follows news that the inaugural Dubai Association Conference will be staged at the Dubai World Trade Centre (DWTC) from December 11-12. A first-of-its-kind regional event, the conference acknowledges the crucial role associations play in Dubai’s socio-economic development and its transition to a knowledge-based economy. Guided by the theme of ‘Building a Community’, the Dubai Association Conference will host association executives from regional and international associations, government representatives, university faculties and students as well as other professionals who are keen to develop associations. The conference is being organised by the Dubai Association Centre (DAC) in collabroration with the DCTCM and DWTC. Kazim says that as associations look to expand globally, the DCTCM’s aim is for Dubai to be “at the top of their list”. The conference will enhance Dubai’s status as a “premier host city for business events”, reflecting the emirate’s ambition to “discover solutions to worldwide challenges”, he adds. In addition to the Dubai Association Conference, Dubai is also set to host key international business events this year, including: Academy of International Business Annual Meeting, Fédération Internationale des Déménageurs Internationaux (FIDI) Annual Conference, Annual Congress of the Asia Pacific League of Associations for Rheumatology, and the International Primary Immunodeficiencies Congress. Earlier this year, DWTC revealed it had won a strategic bid to host nine new congresses at the venue from 2017 to 2021, adding to its already robust calendar of confirmed events over the next five years. These high-profile events are expected to attract more than 24,000 delegates from around the world, delivering a solid economic boost for the emirate, while at the same time, facilitating the growth of key sectors including healthcare, energy, environmental conservation and engineering. “DWTC is committed to Dubai’s economic diversification strategy firmly aligned to the Dubai Plan 2021 and is working towards contributing business visitors to the tourism target,” says Ahmed Alkhaja, senior vice president – venues, DWTC. One of the new additions to DWTC’s calendar is the Congress of the Asia-Pacific League of Associations for Rheumatology (APLAR), which will take place in October this year. The congress focuses on leading the fight against arthritis through its member development and encouraging research in the field of rheumatic diseases. In 2018, DWTC will host a variety of new congresses such as the 13th Conference of Parties to the Ramsar Convention on Wetlands focusing on environmental conservation and the World Tunnel Congress, which brings together the best engineering minds in the field of tunnelling who are working to develop sustainable cities globally. World Cardiology Congress and World Congress of the International Federation for the Surgery of Obesity & Metabolic Disorders are also scheduled for 2018, providing medical practitioners a platform to share advancements in the field of surgery and medicine. In 2019, DWTC will host the 60th Amway APAC Leadership Seminar and the International Federation for Health Information Management Association. The venue will receive the Meeting of International Children's Continence Society in 2020 and the World Congress of the World Society of Cardiothoracic Surgeons in 2021.